Discover lush vegetation and enjoy the gentle kindness of the Zimbabwean people - a true intimate experience awaits you here in the heart of Africa. Venture through Zimbabwe’s most famous national parks such as Hwange, Lake Kariba, Mana Pools, and Matobo National Park during the day, and be spoilt by the truly African hospitality at night. Matobo National Park and Rhodes Grave, Great Zimbabwe, Mana Pools, Lake Kariba and Matusadona National Park, Antelope Park, Painted Dogs Conservation Centre, Hwange National Park, Victoria Falls. 12x Breakfast, 11x Lunch, 11x Dinner. Where included most breakfasts and dinners will be enjoyed in the restaurants of the various accommodation establishments, however on certain nights the guide will provide an authentic meal for the group, which will be enjoyed together in the evening, often around a camp fire. Please advise us of any special dietary requirements in advance. SAFARI COST: $4,590 per person sharing, plus local payment of $250 (in cash). On arrival at Bulawayo Airport, you will be met and transferred to your lodge, Camp Amalinda, set in the majestic Matobo Hills area. The afternoon may be spent at leisure enjoying the panoramic views of the granite kopjes or participating in some optional activities. 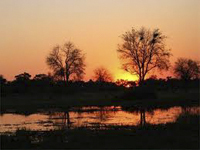 This evening you will meet your guide and the rest of your group at the lodge at 18h00 for your pre-departure meeting. Overnight: Camp Amalinda or similar (rooms with en-suite bathrooms, restaurant, bar, & swimming pool). Meals: Lunch for your own account; Dinner at Camp Amalinda or similar. 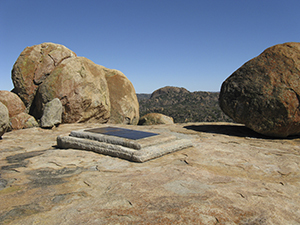 Matobo Hills is an area of exquisite beauty, steeped in tribal history, ancient mystery and dramatic rock landscapes. The national park has been given UNESCO World Heritage status and is home to both white and black rhinoceros, sable antelope and the world’s densest population of leopard. Birdlife is prolific and includes the highest concentration of black eagles in the world. Once the home of the San (Bushman), this area contains the richest source of the rock art found anywhere. Not only is it here that the Ndebele people buried their great king, Mzilikazi, but Cecil John Rhodes was also laid to rest on the “Hill of the Benevolent Spirit” or “World’s View” as named by him. We spend the day in the national park, starting our morning with tracking rhino spoor by vehicle and foot. In the afternoon we further explore the scenery and wildlife of the park on game drives, ending with a visit to Rhodes’ grave. Meals: Breakfast at Camp Amalinda or similar, Lunch pack on game drive, Dinner at Camp Amalinda or similar. This morning we drive to the Great Zimbabwe Ruins located close to Masvingo. According to an age-old legend the ruins were built to replicate the palace of the Queen of Sheba in Jerusalem, and are a unique testimony to the Bantu civilization of the Shona between the 11th and 15th centuries. They cover an area of 1800 acres and are some of the oldest and largest structures located in Southern Africa. We have the opportunity to explore these ancient ruins, before checking in to our accommodation for the night. Overnight: Lodge of the Ancient City or similar (rooms with en-suite bathrooms, swimming pool, restaurant, & bar). Meals: Breakfast at Camp Amalinda or similar, Lunch prepared by guide en-route, Dinner at Lodge of the Ancient City or similar. We travel towards Harare to the Bushman Rock Estate, operational since the mid 1900’s it is one of the few estate wineries in the country. After we have settled into our rooms, we have the option to walk to the Bushman Rock, where we can explore the ancient art adorned caves and granite kopjies. After the walk high tea is served on the veranda. In the late afternoon we take a leisurely guided walk through the vineyards to the pontoon, for a sundowner cruise. Thereafter we get to sample up to nine of the estates private wines on a tutored wine tasting, followed by 3 course dinner. Overnight: Bushman Rock or similar (rooms with en-suite bathrooms, swimming pool and tea garden). Meals: Breakfast at Lodge of the Ancient City or similar, Lunch prepared by te guide en-route, Dinner at Bushman Rock or similar. 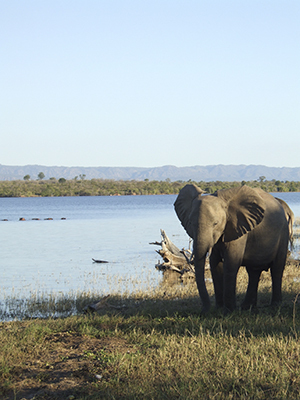 An early wake-up call to continue our journey to one of Zimbabwe’s greatest national parks – Mana Pools, where we have the whole of the next day available to search for African wildlife on game drives and on canoe excursions. 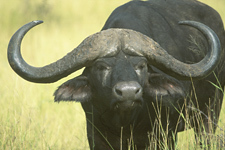 Activities take place in small customised groups offering clients the best game viewing experience possible. Mana means ‘four’ in Shona, in reference to the four large permanent pools formed by the meandering Zambezi River. This World Heritage site has the country's biggest concentration of hippos and crocodiles as well as large populations of elephant and buffalo. En-route we stop at Chinhoyi Caves for lunch. 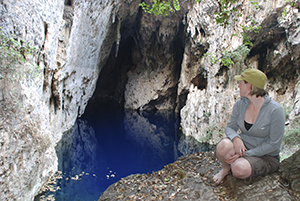 The caves are composed of limestone and dolomite and it is the most extensive cave system in Zimbabwe accessible to tourists. Overnight: Nyamepi Camp or similar (tents, communal ablutions with hot water). Meals Day 5: Breakfast at Bushman Rock or similar, Lunch prepared by guide en-route, Dinner at Nyamepi Camp or similar. Meals Day 6: Breakfast at Nyamepi Camp or similar, Lunch at Nyamepi Camp or similar, Dinner at Nyamepi Camp or similar. Our journey today brings us to the shores of Lake Kariba. It is one of the world’s largest man-made lakes and a place of outstanding beauty. At over 220 km long and 30 km at its widest point it is no wonder it is referred to as an inland sea! The lake is nested in mountains, guarded by enormous reserves of game and made beautiful and savage by sun and storm, as well as by earth and water. After lunch and a one and a half hour speedboat trip across the lake we arrive at Rhino Camp, which lies on Elephant Point in the Matusadona National Park, which is home to the Big 5 and where we spend the next two nights. Overnight: Rhino Camp or similar (chalets with en-suite bathrooms, bar area). Meals Day 7: Breakfast at Nyamepi Camp or similar, Lunch prepared by guide en-route, Dinner at Rhino Camp or similar. Meals Day 8: Breakfast at Rhino Camp or similar, Lunch at Rhino Camp or similar, Dinner at Rhino Camp or similar. 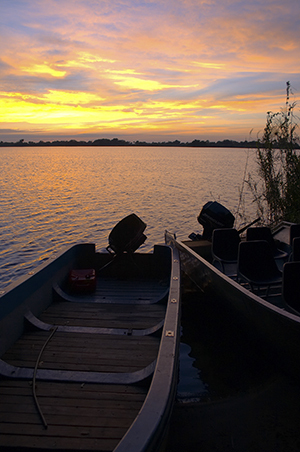 Today we have an early departure as it is one of the longest driving days on our safari. Another speedboat takes us back to Kariba where we meet our vehicle and continue to Antelope Park where we spend the night. 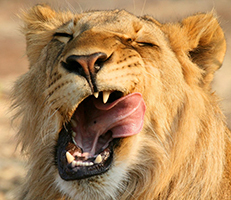 Antelope Park is home to the African Lion Environmental Research Trust (ALERT), an organisation encouraging sustainable means to conserve lions. You will have the opportunity to partake in optional activities either in the late afternoon (subject to the time of arrival), or the next morning before departure. Overnight: Antelope Park or similar (river tent with en-suite bathrooms, swimming pool, bar and restaurant area). Meals: Breakfast at Rhino Camp or similar, Lunch prepared by the guide en-route, Dinner at Antelope Park or similar. After breakfast we depart and make our way to Hwange National Park. Hwange is one of Africa's finest havens for wildlife in Zimbabwe and the park is home to vast herds of elephant, buffalo, and zebra as well as a very large concentration of giraffe. It also hosts many predators and endangered species plus very large and varied birdlife. The whole of the next day is spent exploring this magnificent area. Meals Day 10: Breakfast at Antelope Park or similar, Lunch prepared by the guide en-route, Dinner at Sable Sands or similar. Meals Day 11: Breakfast at Sable Sands or similar, Lunch pack on game drive, Dinner at Sable Sands or similar. We visit the Painted Dogs Conservation Centre in Hwange, to learn about the efforts made to protect these endangered species, before heading off to Victoria Falls. 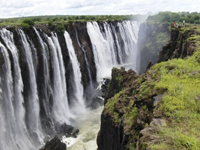 On arrival, your guide will take you on a tour of the mighty Victoria Falls, known by the local Kololo tribe as Mosi oa Tunya - “the smoke that thunders”. The rest of the day may be spent at leisure or partaking in one of the many optional activities on offer. Overnight: A’Zambezi River Lodge or similar (rooms with en-suite bathrooms, swimming pool, bar & restaurant). Meals: Breakfast at Sable Sands or similar, Lunch prepared by guide, Dinner for your own account. Accommodation as mentioned in the itinerary, all transport in appropriate vehicle, game drives as mentioned, meals and activities as mentioned in itinerary, park entrance fees, experienced local guide. The Intimate Zimbabwe Safari departs from Camp Amalinda or similar in Motobo Hills, Zimbabwe. In the evening of day 1, there will be a meeting presented by your guide, at 18h00, at your lodge. It is imperative that all clients attend this meeting so as not to miss out on any critical information. The tour uses fully-equipped Toyota Land Cruisers, 12-seater 4x4 safari vehicles or other appropriate vehicles with comfortable seating, large windows for game viewing, a music and PA system and air-conditioning. All luggage, besides hand luggage and photo equipment, is carried on the vehicle, trailer or roof racks to ensure maximum comfort in the vehicle. For transfers between Victoria Falls and Hwange (or vice versa), 2x4 vehicles may be utilised. On 10 nights of this safari, you will be accommodated in typical mid-range African lodge establishments, situated either in the National Parks, on the banks of a river, or other place of interest. Lodge Safaris offer accommodation with a mix of lodges, chalets and tented camps. All of them have a private bathroom with a shower or bath and a toilet. Some properties are equipped with swimming pools and/or bar areas. 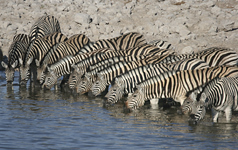 The remaining two nights of this safari will be in a basic tented camp with communal ablution facilities. Your tour guide is given a garage card to pay for fuel, however this is only valid for use in South Africa and certain parts of Namibia therefore any other fuel purchases also need to be paid for in cash. The local payment also ensures that a portion of your tour cost actually goes directly to the countries you visit, thus benefiting local communities as well as contributing to conservation of the areas we visit. Essentially having a local payment means your tour price is a bit lower and gives you a more inclusive experience. The Matobo National Park forms the core of the Matobo or Matobo Hills, an area of granite kopjes and wooded valleys commencing some 35 kilometres south of Bulawayo, southern Zimbabwe. The Hills were formed over 2000 million years ago with granite being forced to the surface, this has eroded to produce smooth "whaleback dwalas" and broken kopjes, strewn with boulders and interspersed with thickets of vegetation. Mzilikazi, founder of the Ndebele nation, gave the area its name, meaning 'Bald Heads'. The Hills cover an area of about 3100 km², of which 424 km² is National Park, the remainder being largely communal land and a small proportion of commercial farmland. The park covers some beautiful scenery including some spectacular balancingrocks and impressive views along the Thuli, Mtshelele, Maleme and Mpopoma river valleys. Part of the national park is set aside as a 100 km² game park, which has been stocked with game including black and white rhinoceros. The highest point in the hills is the promontory named Gulati (1549 m) just outside the north-eastern corner of the park. Construction starting in the 11th century and continuing for over 300 years, the ruins at Great Zimbabwe are some of the oldest and largest structures located in Southern Africa. 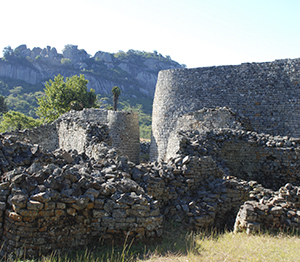 At its peak, estimates are that the ruins of Great Zimbabwe had as many as 18,000 inhabitants. The ruins that survive are built entirely of stone. The ruins span 1,800 acres (7 km²) and cover a radius of 100 to 200 miles (160 to 320 km). The ruins can be broken down into three distinct architectural groups. They are known as the Hill Complex, the Valley Complex and the famous Great Enclosure. The Hill Complex was used as a temple, the Valley complex was for the citizens, and the Great Enclosure was used by the king. Over 300 structures have been found so far in the Great Enclosure. The type of stone structures found on the site gives an indication of the status of the citizenry. Structures that were more elaborate were probably built for the kings and situated further away from the center of the city. It is thought that this was done in order to escape sleeping sickness. 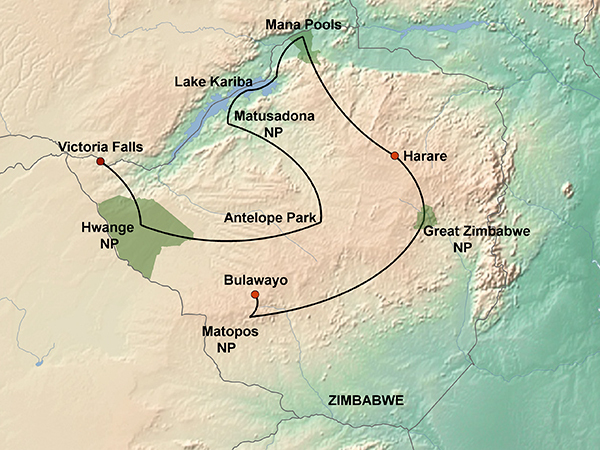 What little evidence exists suggests that Great Zimbabwe also became a center for trading, with artifacts suggesting that the city formed part of a trade network extending as far as China. Chinese pottery shards, coins from Arabia, glass beads and other nonlocal items have been excavated at Zimbabwe. Nobody knows for sure why the site was eventually abandoned. Perhaps it was due to drought, perhaps due to disease or it simply could be that the decline in the gold trade forced the people who inhabited Great Zimbabwe to look for greener pastures. Nyanga (formerly known as Inyanga) is a town in the province of Manicaland, Zimbabwe, located adjacent to Nyanga National Park in the Eastern Highlands about 105 km north of Mutare. According to the 1982 Population Census, the town had a population of 2,973. The highest mountain in Zimbabwe, Mount Nyangani lies about 15km from the village. Its highest peak rises to 2,600 m above sea level. Nyanga is a popular tourist destination with its trout fishing, golf courses, mountain hikes and holiday resorts. Nyanga also accommodates the highest waterfalls in the country - the Mtarazi Falls are about 760 m high. The surrounding areas also contain many Stone Age and Iron Age archaeological remains such as pit structures, stone forts, terraces and pathways. In the town is the bustling township of Nyamhuka, around which there is an ever expanding growth of high and medium density housing. The Nyanga Area has long been regarded as a place of great natural beauty. In 1896, Cecil John Rhodes wrote to his agent: "Dear McDonald, Inyanga is much finer than you described...Before it is all gone, buy me quickly up to 100 000 acres [400 km²], and be sure to take in the Pungwe Falls. I would like to try sheep and apple growing." Mana means 'four' in Shona, in reference to the four large permanent pools formed by the meanderings of the middle Zambezi. These 2,500 square kilometres of river frontage, islands, sandbanks and pools, flanked by forests of mahogany, wild figs, ebonies and baobabs, is one of the least developed National Parks in Southern Africa. It was saved from a hydro-electric scheme in the early eighties which would have seen the flooding of this subsequent World Heritage site. It has the country's biggest concentration of hippopotamuses and crocodiles and large dry season mammal populations of elephant and buffalo. Having cascaded over the Victoria Falls, and tumbled and swirled through the Batoka gorges, the old Zambezi River then flowed gently across a flat valley floor to the Kariba gorge. This was the home of the BaTonka people who believed there was a god of the river – Nyaminyami. Enter technological man and his desire to put a dam wall across the Kariba gorge to harness the river's flow to generate hydroelectric power. The dream became a fact in December 1958, and the man-made Lake Kariba began to fill, and reached its capacity four years later. In the meantime, about 57 000 tribes people had to be resettled, and "Operation Noah" led by Rupert Fothergill, had rescued and translocated 5000 animals. Kariba dam wall has a height of 128 m and produces a lake of 5200 km² in area at full capacity. Then the water surface is at an altitude of 484 m above sea level. 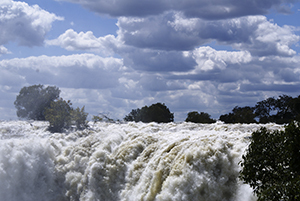 On the Zimbabwean side, the water became the Lake Kariba Recreational Park, with an area of 2830 km². During its life so far, the lake has had its share of ecological incidents, and three should be mentioned. In its early eutrophic days, the lake witnessed an invasion of a water fern (Salvinia molesta), named the Kariba weed, but over the ensuing years the weed has greatly declined. In the 1960s several introductions of the Lake Tanganyika sardine (Limnothrissa miodon) were made, and eventually the 'kapenta' fishery has developed to great productivity. Finally, being a 'sink', the lake has accumulated pesticides and pollution from agriculture and tsetse fly control in its catchment. Fortunately, surveys have shown that the early dire predictions, for example, of Fish Eagles going extinct, have not been realised. 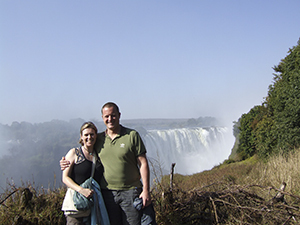 Kariba town is one of the hottest places in Zimbabwe, with temperatures sometimes exceeding 40ºC. The average rainfall along the lake is 650-700 mm, occurring mainly in November to March. 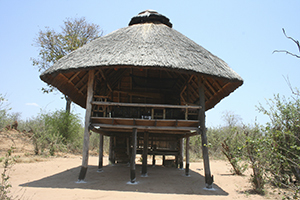 The main habitats are mopane woodland and grassland in the shore, with shelving or rocky slopes. There are many islands (previously hill-tops) in the lake. The Zambezi water is rather clean and poor in nutrients, having filtered through Barotseland in Zambia, which puts a severe limit on the numbers of water birds that can be accommodated. Nevertheless along the shore one seems never to be out of earshot of a vociferous Fish Eagle, and this bird can surely serve as the emblem for the lake.